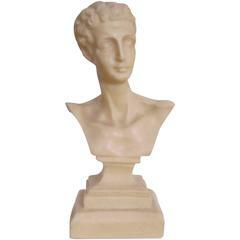 A beautiful pair of midcentury Italian male and female classical Roman style bust statue sculptures. Pieces are plaster with a gold overlay. Bust measurements: Male: 11 in. H x 7 in. W Female: 10.5 in. H x 6 in. 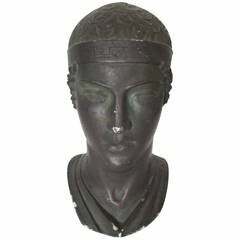 W.
Beautiful unique bronze bust sculpture on wooden base. 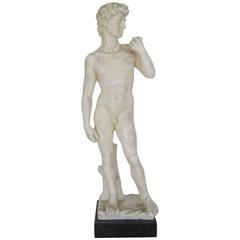 Sculpture in plaster from the Accademia di Belle Arti, Rome, Italy.